Chinatown Central Plaza. Photo by Christina Champlin / We Like L.A.
You know what’s handy? Waking up in the morning, firing up your phone/computer and being able to scan a super quick (but curated) rundown of the best of what lies ahead. So here it is, our list of fun things to do in Los Angeles for today, Saturday, February 9, 2019. 1. [10 a.m.] The Autry Presents its 22nd Annual Masters of the American West Art exhibition and sale this Saturday featuring 64 western artist. Additionally the museum is hosting a trunk show with one-of-a-kind Native American jewelry, glass wall art, silver goods and more. 2. [noon] Big Bud Press is hosting a one day sample sale at their headquarters in Glassell Park. Items will be deeply discounted and they’ll be giving away photo props and shelving items for free. 3. [noon] One Love Cali Reggae Festival returns to the Queen Mary Events Park in Long Beach on February 8 – 10 for its fourth annual music fest with performances by Rebelution, Pepper, Slightly Stoopid and more. 4. [noon] Cupid’s Undie Run happening at The Buffalo Club in Santa Monica is a “brief” run for a great cause. The event is around a mile run with plenty of partying in between. 5. [1 p.m.] The Chinese Chamber of Commerce presents the 120th Golden Dragon Parade in Chinatown. 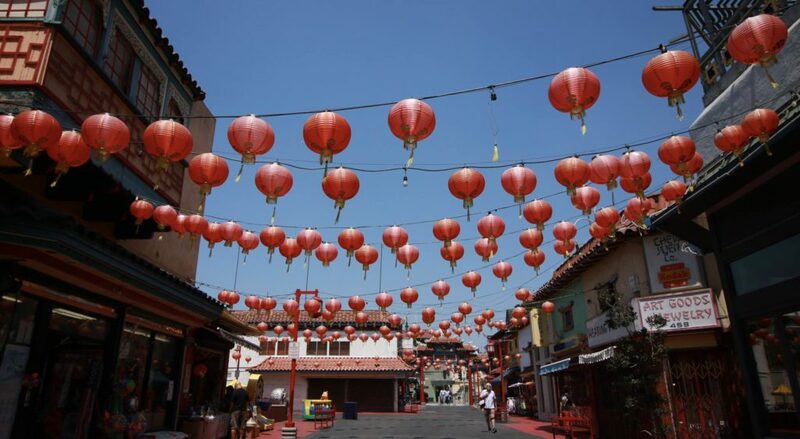 Just in time for Lunar New Year, the parade will include floats, marching bands, government officials, various dignitaries, entertainers, local business leaders and cultural groups. 6. [5:30 p.m.] Descanso Gardens will host a Night Garden event fun for all ages with live music, food, educational talks, live insect viewings and shadow puppet theatre. 8. [11:30 p.m,] Sleepless: Quinceañera Reimagined happening at The Music Center’s Dorothy Chandler Pavilion in Downtown L.A. is an immersive late night multi-sensory party that re-imagines the Quinceañera focusing on rituals and symbols associated with the Latinx coming-of-age tradition.